Welcome to the Family – Battle against or alongside the Toretto crew with this Anki Overdrive Fast & Furious Edition an interactive racing game from Anki OVERDRIVE. Complete missions, trigger massive virtual explosions and face off against intelligent opponents with your Anki Overdrive: Fast & Furious Edition. Hours of fast and furious battle racing action is guaranteed with 10 durable, magnetic track pieces that snap together in seconds to create 8 different race tracks. Challenge friends and family to the race of a lifetime by choosing between one of two included robotic super cars – Dom's Ice Charger or Hobb's MXT. Pair with your Android or iOS mobile device. Each car is equipped with weapons inspired by the Fast and The Furious movies, and can be upgraded the more you play. With unrivaled supercar technology, you will quickly see that these aren't just toy cars. They're robots programmed for battle and controlled by your mobile device. 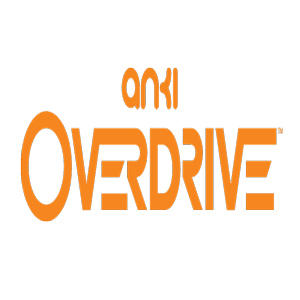 Bring in your favorite Anki Supercars and trucks - your Anki Overdrive Fast & Furious Edition is compatible with all Anki OVERDRIVE accessories, and with regular software updates and add-ons, you can upgrade weapons, speed and powers ensuring your racing gameplay always stays fresh! BATTLE FURIOUSLY – Compatible with the entire Anki OVERDRIVE universe, choose from Dom's Ice Charger, Hobbs' MXT, or mix and match your favorite Anki supercars.